The International Automobile Exhibition IAA is the world's most important trade fair for mobility, transport and logistics. When she first took place in 1897, just 8 motor cars were presented. Since that time, the fair is so grown that the organizers were forced to devide the fair. Therefore since 1991 exist the IAA Commercial Vehicles, which always takes place in the even years in Hanover, and the IAA, which takes place in odd years in Frankfurt. The Fair is the largest car show in the world and is open to both professionals as well as private visitors. Manufacturers use the show regularly to introduce new vehicles and products as well as studies and concepts to the public for the first time. The IAA is the international platform for all those who develop, manufacture or use passenger cars. At the IAA numerous world premieres will be shown that highlight the innovative strength and sustainability of the automotive industry. The focus is on efficient vehicles corresponding with the increasing demand of customers for quality, safety, comfort and design. Other important topics of the IAA Cars are electric mobility and "connected" cars. The fair is accompanied by various lectures, presentations and discussions on topics as research and development results in the automotive industry, which complete the program of the fair. On the whole the organisers welcomed on the 11 days of the fair, from 14. September to 24. September 2017, about 994 exhibitors from 39 countries and 800000 visitors on the IAA Cars in Frankfurt. Already for the 68th time the IAA Cars takes place on 11 days from Thur., 12.09.2019 to Sun., 22.09.2019 in Frankfurt. 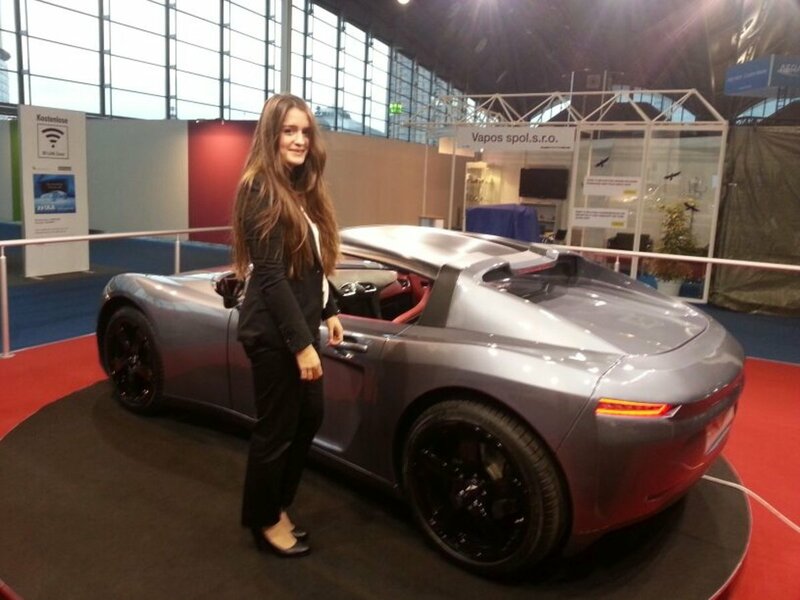 Upload a picture from your booth on the IAA Cars or other fair impressions!